Fitchburg's historic Quivey's Grove features an Italianate fieldstone mansion and a hand-hewn beam stable offering lunch, dinner, drinks, banquets, and an outdoor paddock for various events. 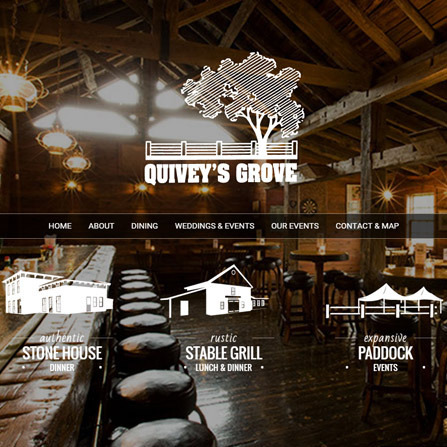 Because of the unique atmosphere at Quivey's Grove and an increasing need for an effective online presence, Adesys was called upon to create an equally unique mobile-friendly website. 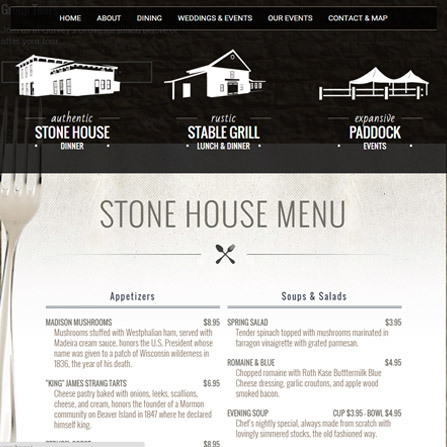 Custom drawings of the Stone House, Stable Grill, and Paddock are depicted on the homepage and act as quick navigation links to food and drink menus, as well as photos and specials. 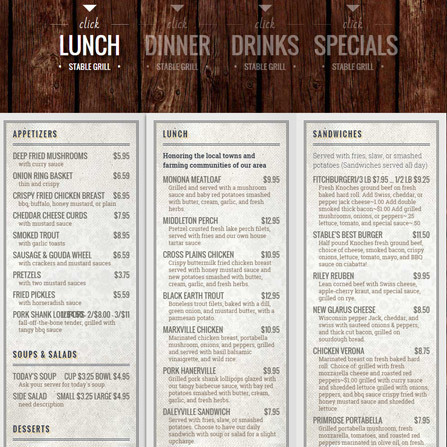 New photographs were taken to display on the website, and our content management system allows the Quivey's Grove staff to make changes when needed.